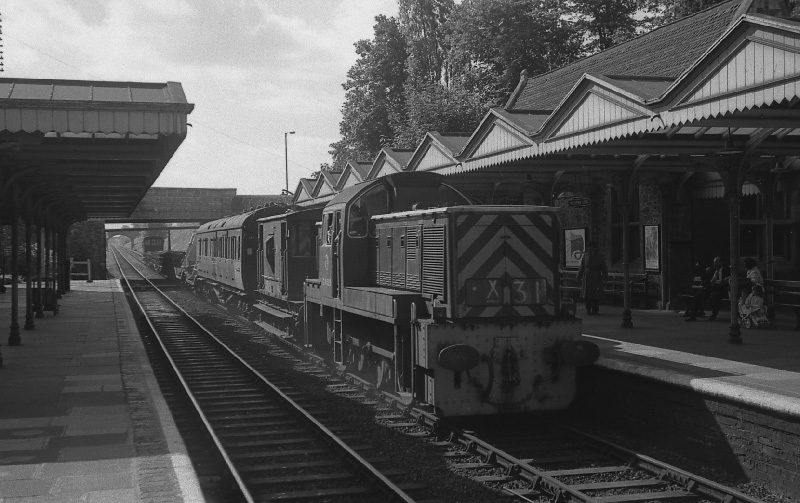 One class of BR(WR) diesel locomotives that rarely ventured into Worcestershire in normal service were the fifty-six (56) class 14 0-6-0 locomotives. 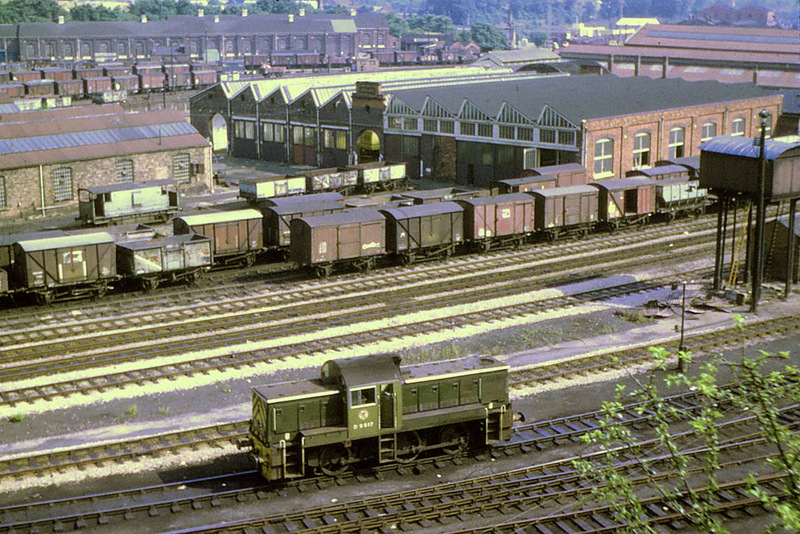 After the end of steam traction on the Western Region there was a continuing decline in the need for medium power locomotives for trip working and although brand new many examples made their way to Worcester for storage during the period from 1966 to 1968. The class 14's were built at Swindon Works from 1964 onwards and were fitted with Paxman Ventura engines and Voith hydraulic transmissions. Questions were raised at the time of the need for these locomotives but the emphasis seemed to be more on providing employment for the workforce at Swindon Works rather than the commercial need. Some of the class were later transferred to Hull Dairycoats but saw little further use before most were sold at bargain prices to the National Coal Board and British Steel Corporation. MIAC records detail only one locomotive actually in service in Worcestershire and Robert Pritchard has provided this rare photograph that illustrates that event. This is class 14 diesel locomotive No.D9525 at Malvern Link on 6th September 1966. Robert was en route to Birmingham at the time this engineer's train unexpectedly passed through the station in the direction of Worcester. The headcode gives no clue as to the eventual destination of the train. No.D9525 was sold to the National Coal Board in 1968 for use in the Durham coalfield and eventually made its way into preservation. Pete Wilcox was at 'Railway Walk' overlooking the depot at Worcester on 22nd July 1967 and captured this interesting photograph of class 14 diesel hydraulic locomotive No.D9517. The locomotive had arrived at Worcester in the middle of 1966 for storage in the 'Washout' shed. MIAC records show that the locomotive was returned to service in 1967. It would appear to be in service in this photograph. There are plenty of wagons on both sides of the wagon works but no other locomotives can be discerned.